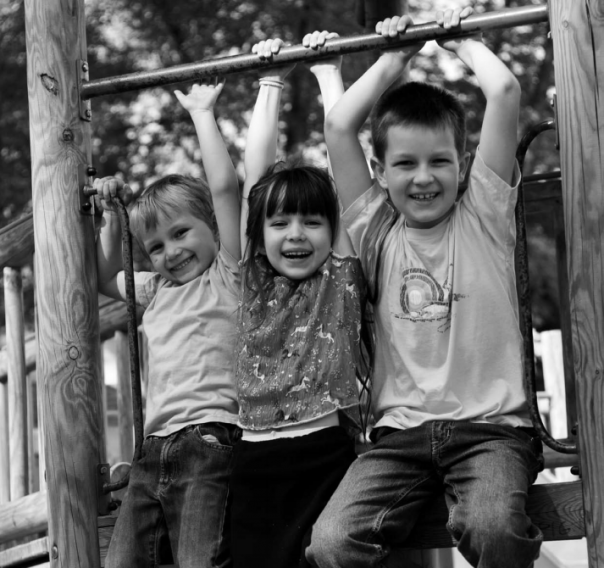 Child Protective Services (CPS) works to keep vulnerable children safe and to strengthen at-risk families. It is a critical piece of our state’s public infrastructure. A strong child protection system ensures that all children are protected from abuse and neglect, giving them the opportunity to thrive and grow into responsible and productive adults. By doing so, CPS fosters healthy families and communities, the building blocks of a vibrant society. CPS can be thought of like a rescue boat patrolling the ocean for signs of families in distress. Its job is to find sinking boats and either help the family quickly plug the hole, or, if that is not possible, pull the children aboard the state’s boat. The more rescue boats available to patrol the waters, the more families can be assisted and children protected. Over the last decade, the Texas Legislature has expanded the CPS fleet. As a result, CPS has improved its investigations and made progress in achieving better outcomes for families and children. For example, in just the last two years, CPS has reduced the removal of children from their homes by 9.2%, and increased “kinship” placements—the placement of children with family members by 11.2%. CPS has also worked aggressively to move more children into permanent adoptive homes; in 2006, the federal government honored Texas with the largest award among the states for increasing the number of children adopted from foster care. Despite these successes, the challenges CPS faces appear unending. The total number of Texas children has grown rapidly over the last decade, with an increase in the number of children who are at significant risk for abuse and neglect. About 23% of Texas children live in poverty, and 10% live in extreme poverty (meaning in families with incomes below 50% of the federal poverty level). This has resulted in a significant increase in the number of children coming into the state’s care each year. Even though funding for child protection has increased significantly over the last decade, CPS remains grossly underfunded. In 2004, the most recent year for which national comparisons are available, the state spent 58% less per child on child protection (prevention, services, and foster care) than the U.S. average—low enough to rank Texas 47th nationally. With inadequate funding, CPS struggles to both patrol the open water and tend to the children on the state’s boat, juggling one crisis after another. These struggles have obscured the very good work that CPS has done over the last decade, such as increasing the use of kinship homes and speeding adoptions. These struggles have also contributed to negative public perception of the system and have undermined public confidence in the system’s ability to protect vulnerable children. Understandably, legislative frustration is high as well. Each session, the Legislature puts more money into CPS only to be told in the next session that it was not enough. In part, this is because the Legislature has taken a piecemeal approach to strengthening CPS. Out of frustration and the desire to improve outcomes for children and families, the Legislature has searched for new models of service delivery. Leaning philosophically toward private sector solutions, and seeing experiments with the privatization of child protection in other states, the Legislature has considered outsourcing major child protection tasks to private providers. 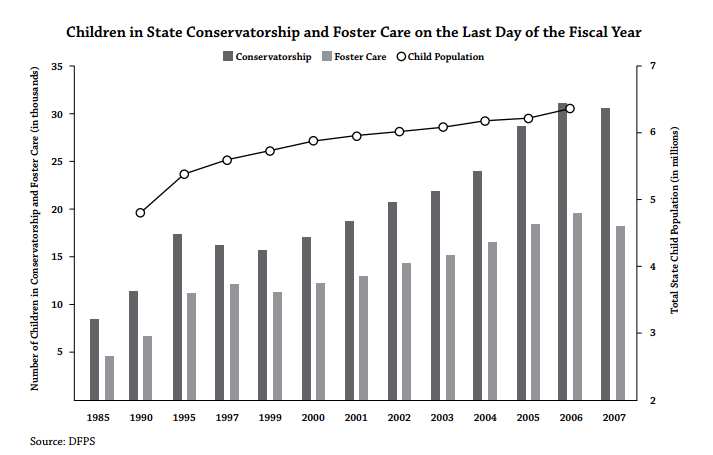 In 2005, the Legislature passed Senate Bill 6, mandating the privatization of case management and all state foster care and adoption services by 2011. Private providers have always played a significant role in the delivery of child welfare services—both providing services to children in the state’s care as well as delivering prevention services to families considered at risk. Undeniably, private providers have made important contributions to the child protection system in Texas. Working locally, these organizations often develop relationships and coordinate community resources more effectively and rapidly than CPS. However, the Legislature’s decision to privatize so much, so fast, and to outsource the case management functions traditionally performed by public employees, caused much concern in the child welfare community. In 2007, responding to these concerns, the failed privatization efforts in other areas of Texas state government, and the cost of privatization, the Legislature passed Senate Bill 758, which converted the plan to privatize case management into a pilot program and dropped the plan to privatize all foster care and adoption services. Despite these changes, privatization of child protection continues to generate significant interest and debate in Texas. Some observers argue that privatization will increase the quality and efficiency of child protective services, while others raise doubts. Still others contend that the primary question is not whether but how privatization should be accomplished. Unfortunately, much of this debate fails to distinguish between privatizing the primary function of government—to set policy and make decisions in applying that policy—and the secondary function of government—to provide services. This paper focuses on this distinction. We analyze the different outcomes and risks associated with privatizing CPS case management, which is a primary function of government, and privatizing the delivery of services, a secondary function. In the latter, if done right, privatization has the potential to improve the quality of government services. In the former, however, privatization breaks the critical link between democracy and the most fundamental government decisions, putting the objective of child protection—to keep children out of harm’s way—seriously at risk. Our analysis looks particularly at the experiences of Kansas, Florida, and Texas. We recommend maintaining case management as a public function, limiting the role of private providers to the delivery of services to children and families, and exploring greater use of performance-based incentives when contracting for these services. While we support expanding the use of private providers in the provision of foster care and adoption services, we recommend that states move slowly, with adequate budgets, and always placing the needs of children and families first.